This simple DIY calls for a few unusual supplies (links are included in the post)—but it makes for a great group project, gift, or craft night DIY. The personal message written on the miniature scroll inside is a great place to put a sentimental or heartfelt thought that the wearer can carry with them everywhere they go. This is one of my best-selling DIY kits on Etsy (along with the Hanging Plant earrings DIY kits—see the free tutorial for those here). 1. 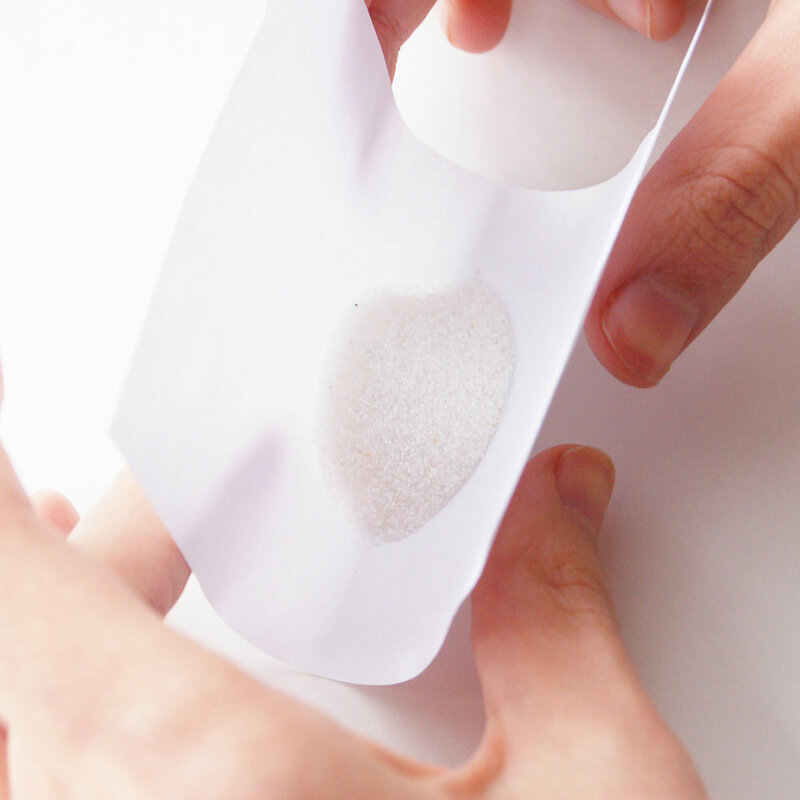 Cut aged paper into strips and write your message (make sure the width is short enough to fit in the bottle). 2. Roll your paper up and slide a jump ring on to keep it rolled. 3. Twist your eyescrew into the bottle’s cork (add a dab of glue at the base if wanted). 4. Add sand 1/4 to 1/3 of the way up the bottle (using a little piece of paper, such as a post-it note, as a funnel can help). 5. 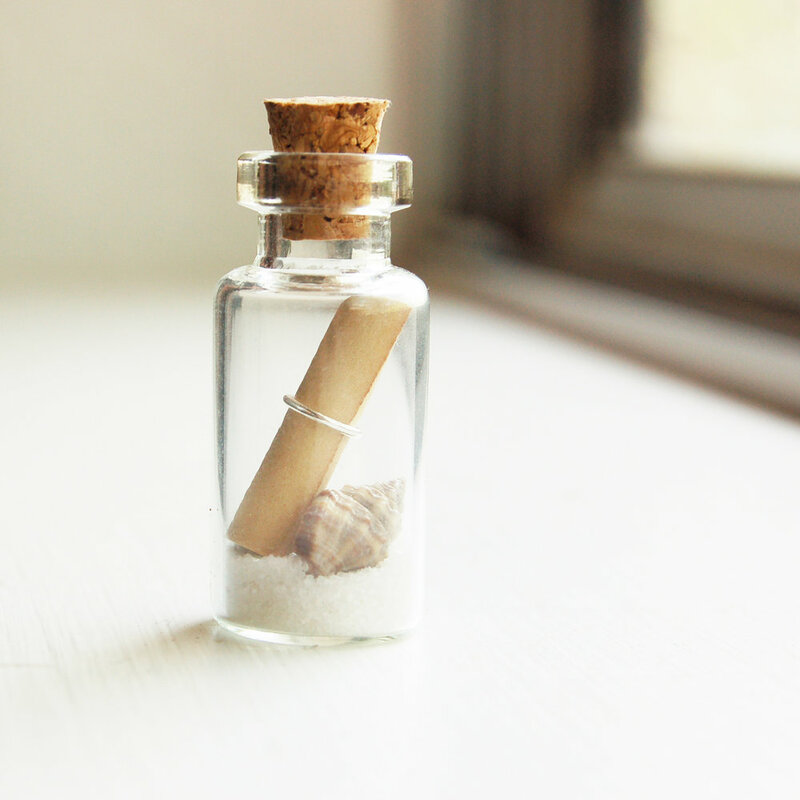 Drop in the rolled up message as well as any moss, shell fragment, or whatever else you want that can fit inside. 6. 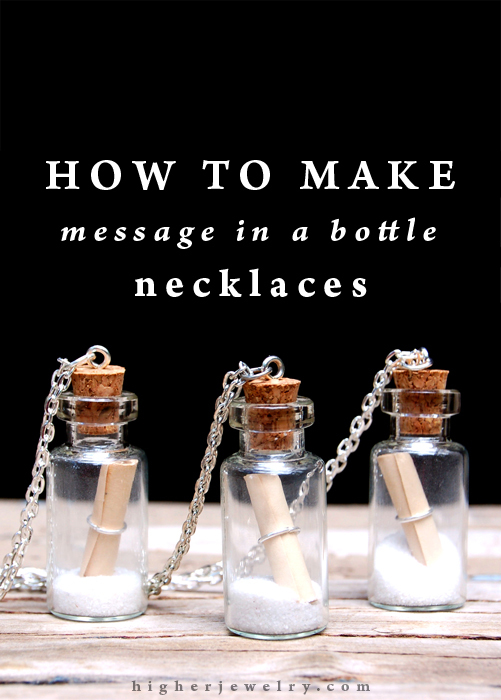 Attach the bottle charm to a necklace with a jump ring. 7. Optional - glue the cork to the bottle. The message can’t come back out if you do this, but it will be extra secure. If you’re using my kit, you can skip screwing, gluing the screw, and attaching the charm to the necklace. It’s already done for you so you can assemble it easily and quickly. So many people of all different walks of life have tried out this simple, fun DIY, from boyfriends for their girlfriends, daughter’s for their mothers, and bride’s for their bridesmaids. Well, often people want to make 1 to 10 necklaces at a time, and paying shipping for different supplies PLUS having to get bulk (eyescrews come in packs of 20, bottles come in packs of 100) can actually add up to more than buying a pre-made kit. I buy them in bulk and make a small profit for putting them together—but it’s ultimately cheaper and easier for you. Additionally, my ready-made kits are partially done for you—pliers aren’t needed. Eyescrews are already in and glued, too. I love unique, eccentric jewelry--especially when it can be made in about 30 minutes and the supplies cost less than $30. This fun project is for those of us short on time (and money!). This simple beginner macrame project can be turned into earrings, necklaces, or used as miniature decoration. For those who know more advanced knots and patterns, you can expand upon this tutorial and get creative with it. If you've never done macrame before, don't worry--the only knot used is the one everyone knows: the overhand knot. *anything purchased from these links does not give me any affiliate income. These are simply the places I found the supplies at. If you would like a prepared kit, you can find one here if it's in stock. Cut the 140 inches of hemp string in half. Put aside one half for later--it will be for the second earring. The first half cut into 4 pieces of equal length. And thread them through a jump ring to the halfway point. Make the ends as even as possible. Right below the jump ring. 1 inch below the big knot, knot two string together at a time (knot ones that are close together for best results). 1/4 of an inch below the previous knots, taking one string from below one knot and another string from below a knot next to it. 1/4 of an inch below the last knots, knot all the strings together again to close the hanger. Then trim the leftover strings to however long you would like them. Add the jump ring to an earwire or a necklace. And that's it! 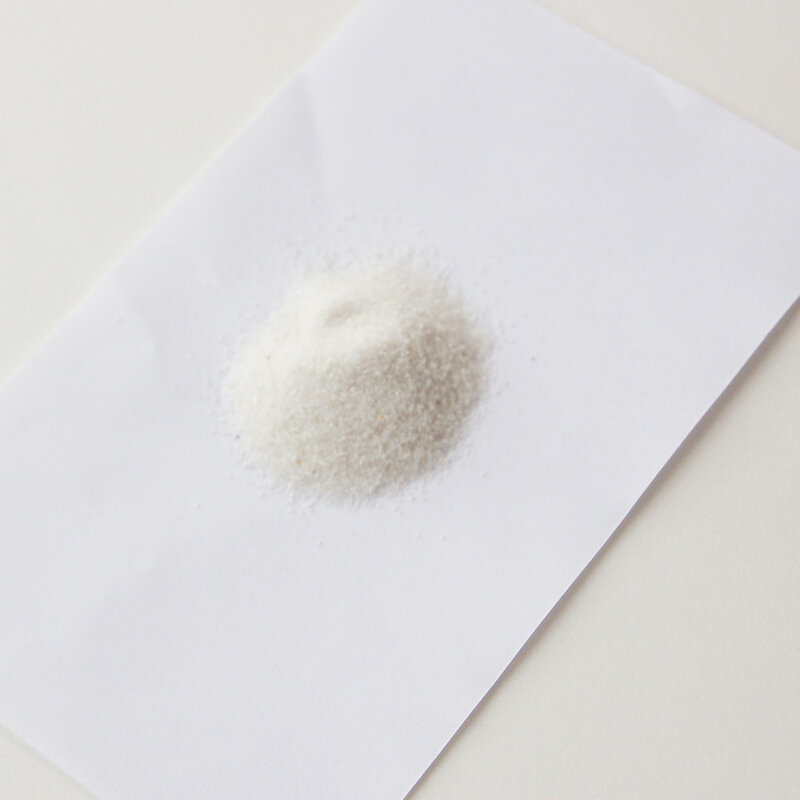 The ready-made supply kit can be found here. I created this DIY kit for those of you who don't want to order from multiple websites, paying shipping on each one. It doesn’t make sense unless you’re making a bulk batch. For just one pair of earrings, it’s more affordable to go with a kit. Grab a kit here with EVERYTHING you need (at home you’ll need scissors, a ruler, and glue).